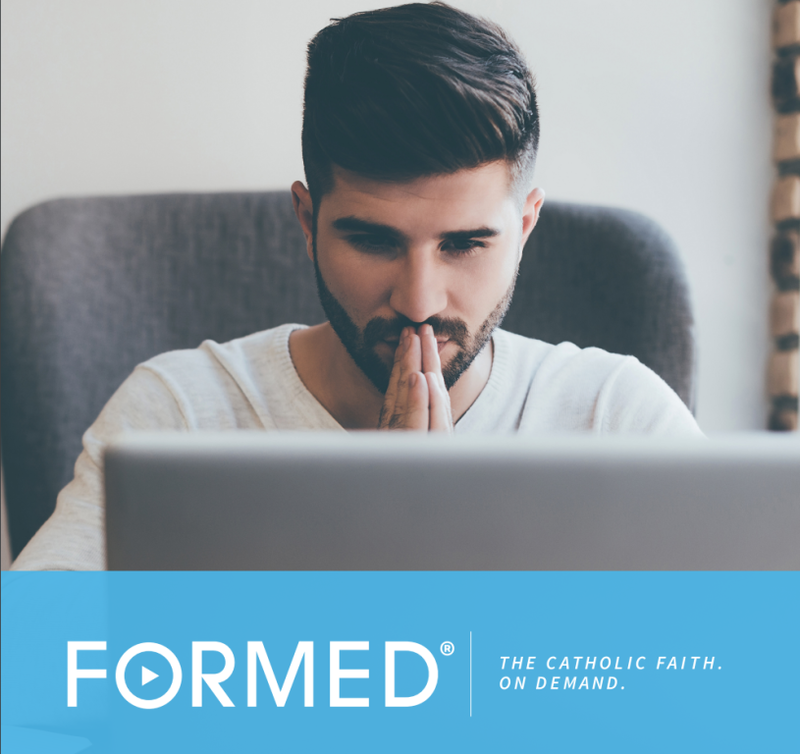 Saint Andrew strives to provide adult faith formation opportunities to parishioners here and in surrounding Catholic communities. To that end, our parish is proud to be hosting the Class of St. Padre Pio - Elk River as they complete the Archbishop Harry J. Flynn Catechetical Institute. One hundred and forty-four adults are a part of this program, with roughly a third coming from our parish! Enter your email and a password to get started. If you are interested in any of our ongoing ministry or prayer opportunities, please visit Get Involved. Additional adult formation opportunities are listed below. How will you prepare for Easter? 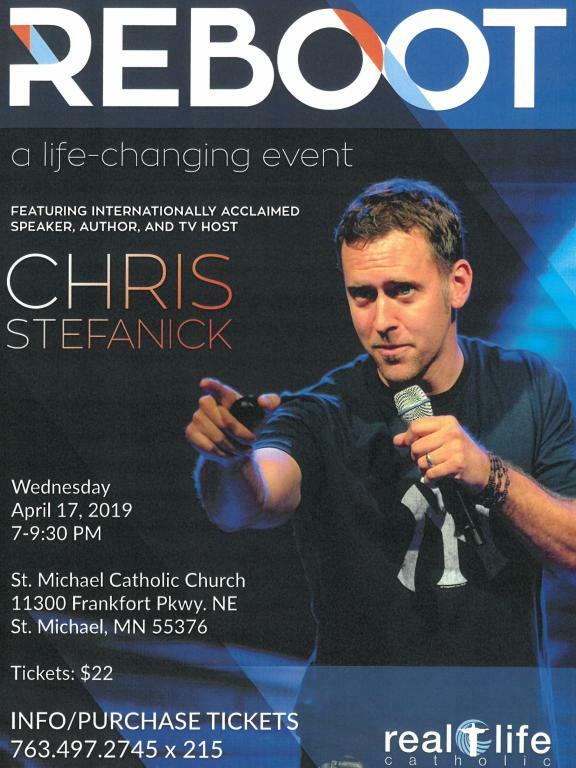 Saint Andrew is proud to co-sponsor REBOOT Live with Chris Stefanick on Wednesday, April 17, 7:00-9:30 PM, at St. Michael Catholic Church in St. Michael. Renew your faith and enter into Easter in a big way this April! This is an event for everyone in the parish, not just teens or families. Men and women, young and old—this event promises to turn hearts and lives to Jesus Christ. Tickets are $22 and are on sale now—through the end of November, Saint Andrew families with teens in grades 6-12 can get two tickets (one for a teen, one for a parent) for free! Contact Jim Thorp for details or to purchase tickets: jimt@saint-andrew.net or (763) 441-1483. Our next Bible study will be Tuesday afternoons or Thursday evenings beginning in late February. Fr. Arockiya Newton will present WISDOM: God’s Vision for Life, an eight-session Old Testament study with videos featuring Jeff Cavins. Sessions begin Tuesday, February 19, at 3:00 PM or Thursday, February 21 at 7:00 PM in the Cafeteria. The cost for this study is $20; if you would like to join, please contact Faith Formation Secretary Lori Iannuzzelli at 763-441-1483 or lorii@saint-andrew.net. Call Kevin at 763-807-1721 for more information. 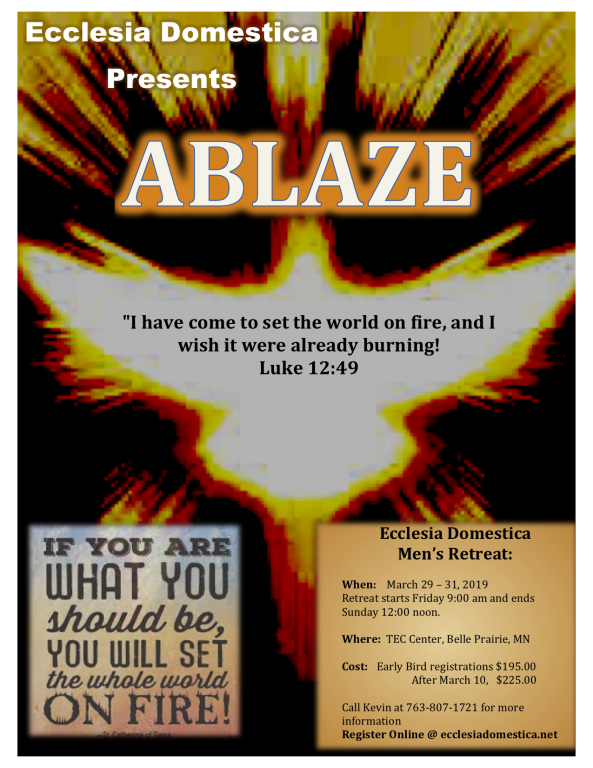 Register online at ecclesiadomestica.net. Area Catholic speakers Michelle Steele and Angela Beljeski will speak on dating, relationships. 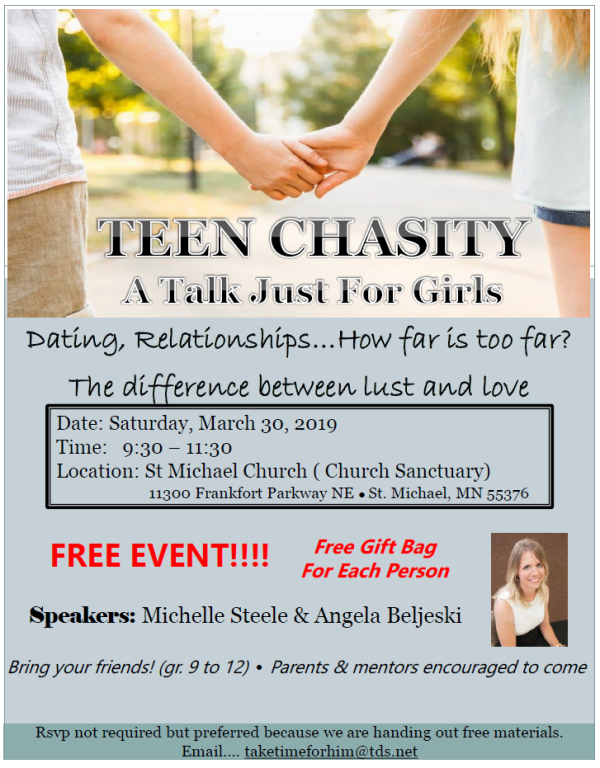 how far is too far, and the difference between lust and love on Saturday, March 30, 9:30-11:30 AM, at St. Michael Catholic Church in St. Michael. This is a free event for teen girls in grades 9-12 and their parents or adult mentors. Each person will receive a free gift bag. RVSP not required, but preferred; if you plan to attend, email taketimeforhim@tds.net.